Tags: fin de semana oferta, ofers, oferta, oferta offer, STORE SLC . The night with stars and sparkles is about to starts. Find out more here at http://womenstuff.stuff-sl.com. This is sort of a preview of a post I'm working on with Ravi to feature Kusshon's cool screen from Mens Dept, but since I like these two pics I thought I'd put them up now. Note the excellent shape from PixyStix, which is a hunt gift available for just a few more days. 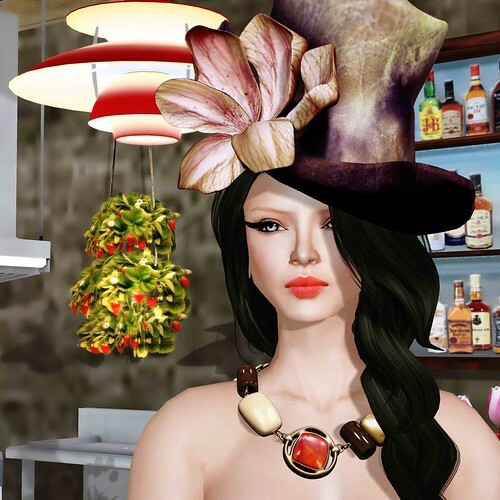 Also go visit new hair store Due, where you will find a fatpack of the mesh "Lily" hair completely free. Tags: fin de semana oferta, oferta, oferta offer, STORE SLC . 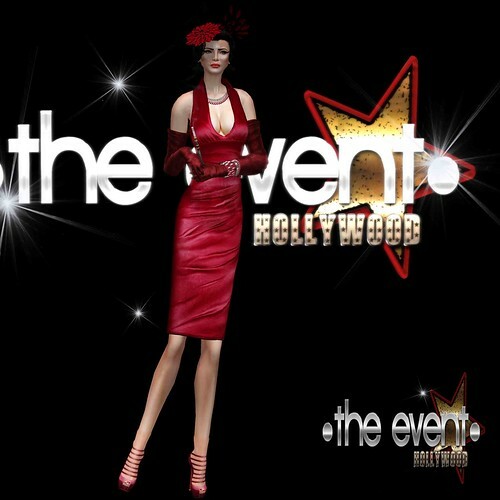 The Hollywood Event is coming soon on this March 28th to April 15th. There will be 80 amazing designers, 80 new releases, and 80 swagbag gifts for you. Stay tune for this most anticipated event is coming to you. More information can be read from the website here. Ring/Anillos: ..:: Bens Beauty ::.. Audrey Muse Rings - NEW!! Its spring and I am heading out to the cafe, enjoying the sun and have a cup of coffee with my little Mr. Chi. With the flower blooming and the sound of the nature relaxes me from my load of works that pilling up at the office. The skin fair is about to end. To those of you who haven't been to the Skin Fair, or yet to decide what skin to buy, I would like to introduce Mabel from Blush. Try them on, you will find you are having a real fresh look in this Spring season. And not forgetting, Spring is all about showing some sexiness as well. Get the new release Shanti dress from Legal Insanity.Its SPRING!!! Skin - Oceane ~ Dee Natural skin Vanilla Tan Blonde - Skin Fair.. 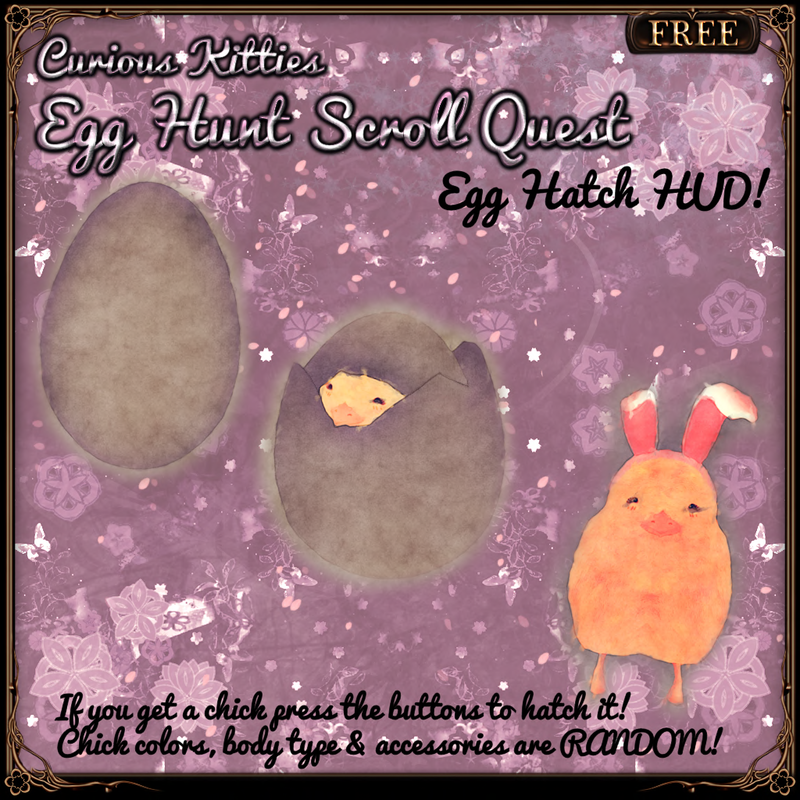 Curious Kitties is having a Free Egg Hunt at here. Get 4 stamps (all for FREE) from Curious Kitties stampers placed at 4 locations & you get a prize! There are toooons of cute original baby cosplay chicks that you can hatch with a HUD! Also, festive clothing & accessories! 100s of variations! You never know what you'll get! And its DAILY! Thats right, not just one prize one time! If you come back the next day you can play again!! And if you love to be cute girl, this is really awesome thing to do. Dress/Vestido: *LpD* - *Giglio* Dress (MESH - 5 Sizes) - NEW!! Wanna to be center of attention? Put your shoes on and run to Amarelo Manga. The realistic glow effect oof the dress will made everyone turns their attention to your direction. Hair/Pelo: Tameless Hair Graciella - NEW!! Dress/Vestido: *LpD* - *Barbara* Dress - NEW!! A short post for you guys today with some gifts you can go grab. 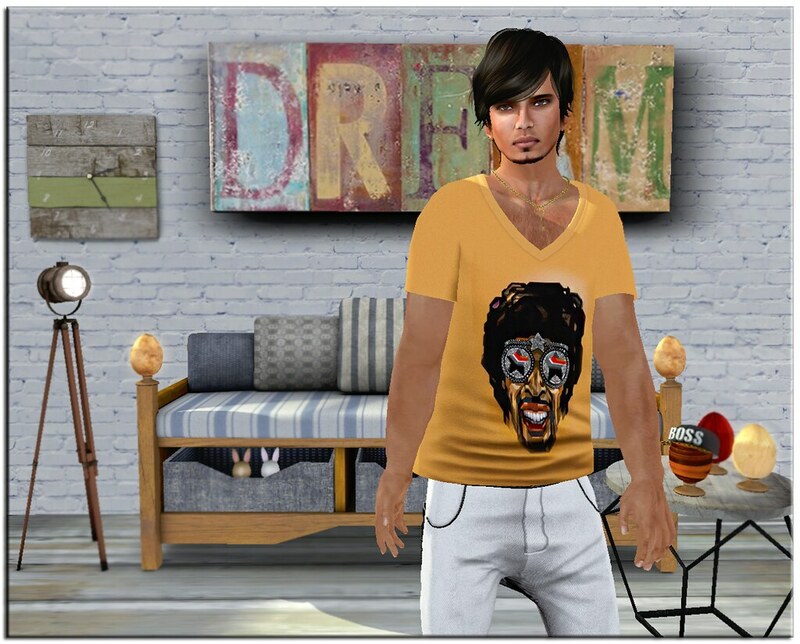 The cool T-shirt is from JLB and is a gift for Avenue Magazine Readers (copy this into your viewer to join: secondlife:///app/group/c3e0ee4b-7058-3c9b-bb98-f0f2043d71fe/about). The couch (which I previously blogged here) from End of Daze is now a gift down at the Energy Club, where you can find a ton of good gifts for men & women to mark the club's 3rd anniversary. The skin here is a recent group gift from LaVie (unfortunately no longer available). However, LaVie has just announced a Sim-wide Easter egg hunt with gifts from the top designers present on their new urban style shopping area. I haven't had time to do the hunt, but I'm told there are skin gifts for men & women, hair, N-Core shoes etc, although all the gifts may not be out yet. Nice to see LaVie back and bustling - see the pic below for the stores in this hunt. Update: LaVie Sim is temporarily closed, while they set up the gifts. Sim now reopened. Hair/Pelo: Tameless Hair Tess - NEW!! Sunday March 17th began the fifth SL Buddy Walk in aid of Down Syndrome awareness and theNational Down Syndrome Society (NDSS). 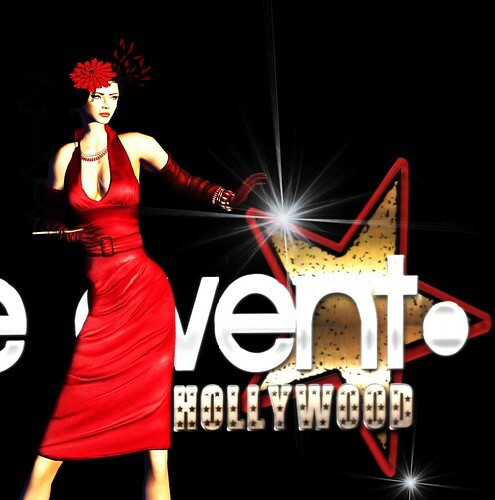 Lot of designers in SL have donated the sales from an exclusive to support this cause and I'm showing you some of the items you can find there. Hair/Pelo: Tameless Hair Lottie - NEW! !